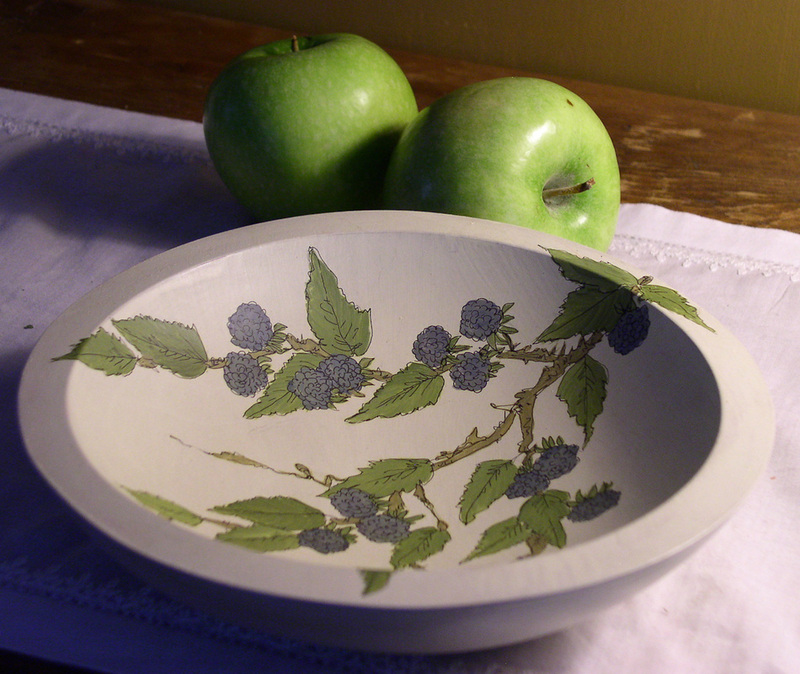 Nature Painted Furniture Farmhouse Bowl Wooden Maple Decorative with Painted Blackberries by Laurie Rohner. 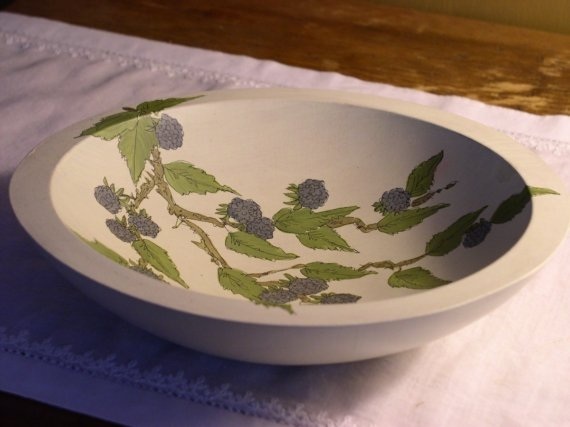 A painted farmhouse cottage chic decorative wooden maple bowl is hand painted. I took a turned unfinished wooden maple bowl, painted it a soft white and hand painted a beautiful detailed vine of blackberries strewn across its surface. It has a low luster sheen. Mainly used for decorative purposes but perfectly OK for apples or nuts. Can be sponged clean. A very useful bowl and can go in any room. 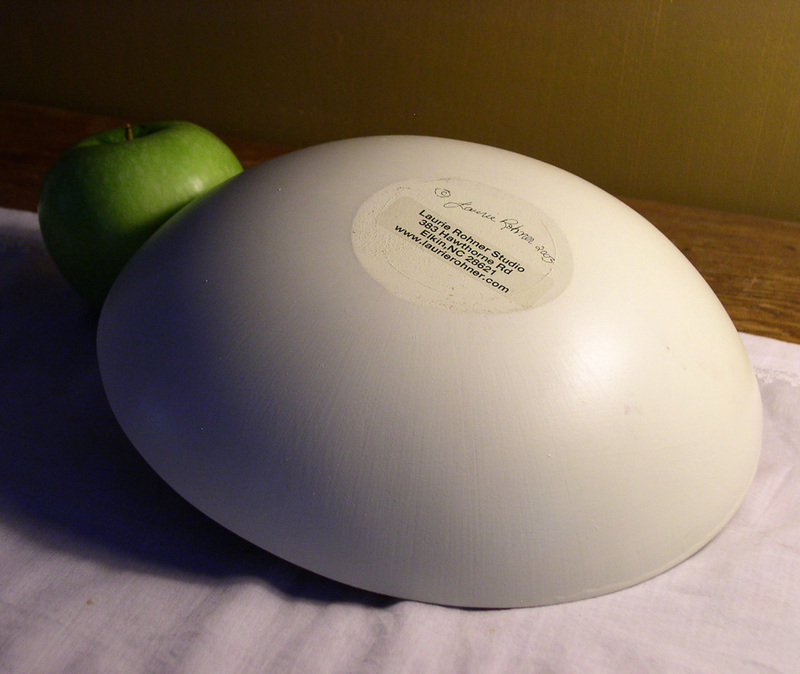 Approximately 9" in diameter and 3" high. All work shown in my shop are my original designs. I hand paint each piece sign and date. They are not stenciled transferred or printed in anyway. All my functional art is copyrighted so please be kind and do not copy.